As soon as you break the skin of an orange, its sweet-tangy scent fills the air. Many,anxious to get to the juicy segments of the orange itself, consider the peel’s job done and discard it in the nearest compost bin. 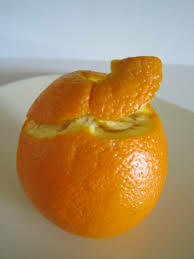 As some have now realized, once the orange is consumed, the orange peel has many uses all on their own. The most effective orange peels to use is that of an organic orange, but other orange peels will still do the trick. 1. Orange peels can be scraped across with a specialized kitchen grater called a zester. The zester removes only the thin upper layer of the orange peel, not the lighter colored pith. The grating action creates a pile of orange zest, which is usually left to dry overnight before being stored in an airtight herb bottle. Orange zest is often used to enhance other flavors in desserts, gravies, and even some meat dishes. Dried orange peels can also be sprinkled as a garnish. 2. Orange peels can be used to make delicious homemade oils. Place some orange peels and cranberries in olive oil and close it with a cork. You can observe a wonderful flavor to the oil after some weeks. 3. Placing a piece of orange peel in a container of brown sugar will help keep it from drying out. 4. Deodorize your kitchen sink by running orange peels through the garbage disposal to freshen up a stinky garbage disposal. Also by adding a few ice cubes will help sharpen the disposal blades. 6. Another use for orange peels, is air freshening. Combing dried orange peels, cinnamon sticks, lemon peels and flower petals in a simmering pot of water. As the steam leaves the potpourri, the air should become much more scented. 7. Orange peels can be tastefully cut and added to dried flower arrangements for extra color, shape, and style. 8. Dried orange peels can be stored in a cheesecloth bag and kept in closets, drawers or cupboards to help reduce musty odors. 9. Rubbing the leaves of your house plants with orange peels once a month and placing some orange peels on the surface of the soil in potted plants will help prevent you cat from destroying them. 10. One unusual use for dried orange peels is as kindling for fires. The orange oils found in the peels are indeed flammable and corrosive, but they burn more slowly and steadily than common kindling material such as newspaper. Orange peels also have the advantage of creating a pleasant odor as they burn. 11. Placing orange peels at the bottom of your garbage can before putting in a garbage bag is said to reduce odor and also help discourage insect infestation. 12. Rubbing orange peels directly on the skin can be an effective mosquito repellent .Insects in generally find the odor of orange oil offensive. 13. Some experts suggest that a mixture of dried orange peels and coffee grounds will discourage neighborhood cats from using a homeowner’s yard as a litter box. The overpowering smell of orange oil and coffee overrides their usual litter box signals. 14. Taking a few orange peels in a cup of warm water and make a puree in a blender. Pour this solution into anthills to prevent ants or anywhere around the house that you do not want ants to be. 15. If you are throwing away the orange peels, consider adding them to a compost pile if you have the space and use for fresh, healthy soil. Orange peels can make your soil extra fertile. 16. Spreading some orange peels around the surface of the soil in your garden is an effective method of getting rid of slugs.